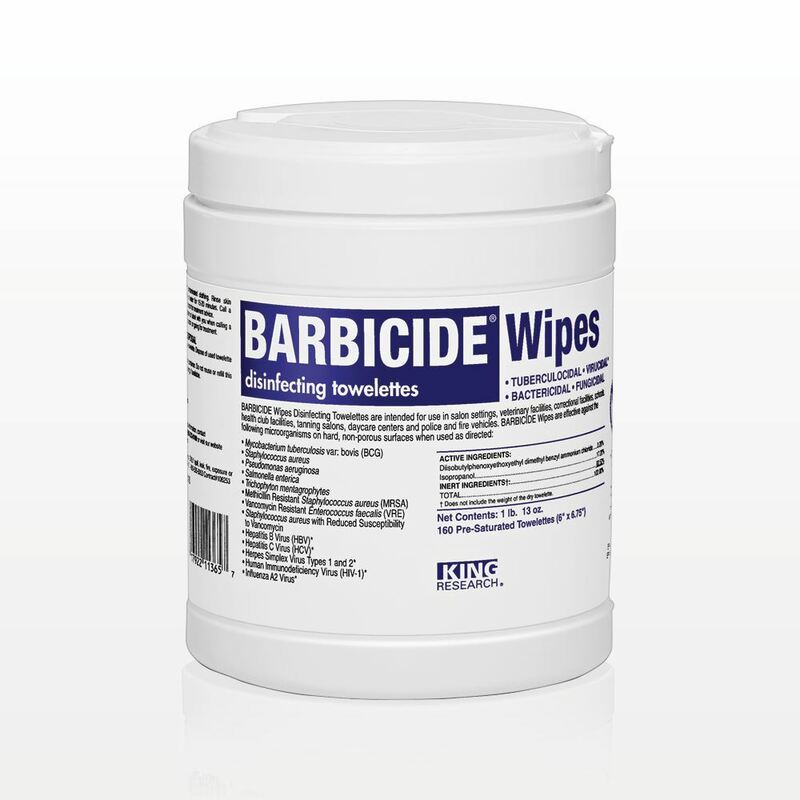 These hospital-grade, EPA approved broad-spectrum disinfectant wipes by Barbicide® are proven effective against tough viruses and are intended for use on hard, non-porous surfaces in salon settings and health club facilities. Not for use on skin. Keep out of reach of children. Measurements: Wipe: 6 inch x 6.75 inch (152.4 mm x 171.5 mm); Net Contents: 1 lb., 13 oz. This hospital-grade, EPA approved broad-spectrum disinfectant is proven effective against tough viruses. 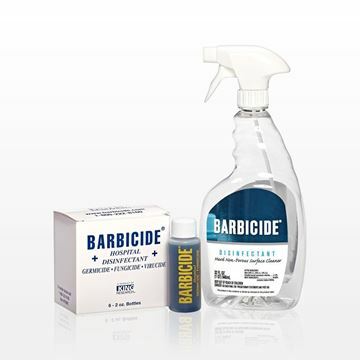 Use with corresponding Barbicide® jars (Part #’s 91289 & 91290) to disinfect manicure implements and stylist tools. 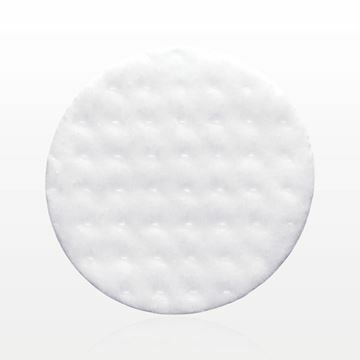 Also great for cleaning non-porous surfaces such as countertops, shampoo bowls and chairs. 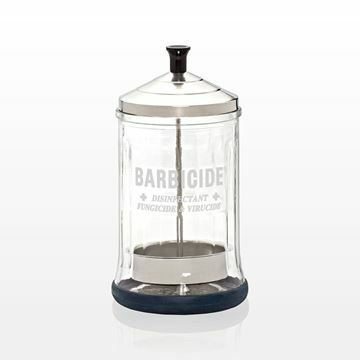 This empty midsize disinfect jar by Barbicide® is a great addition to any work station as it features a total immersion stainless steel self-draining basket and non-slip rubber ring base to help sanitize and disinfect manicure and esthetician tools. One side of the jar says Barbicide® and the other says Barbicide Plus®. 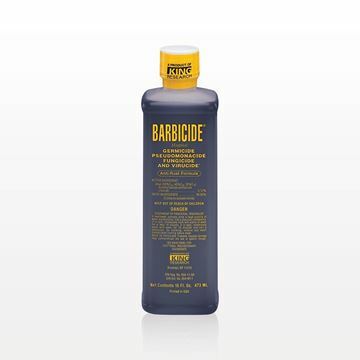 Barbicide® Disinfectant Concentrate (Part #’s 91294 & 91293) sold separately. 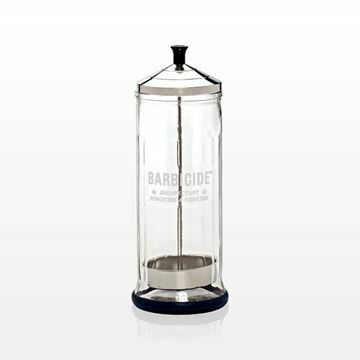 This empty large disinfectant jar by Barbicide® is a great addition to any work station as it features a stainless steel self-draining basket and non-slip rubber ring base to help sanitize and disinfect tools such as shears, combs and brushes. 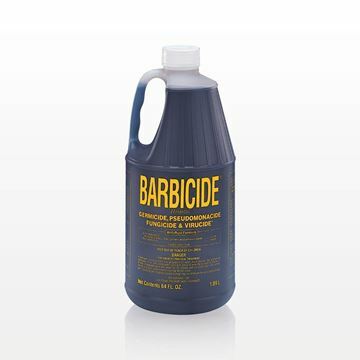 Barbicide® Disinfectant Concentrate (Part #’s 91294 & 91293) sold separately. A hospital-grade, EPA approved broad-spectrum disinfectant that is proven effective against tough viruses. 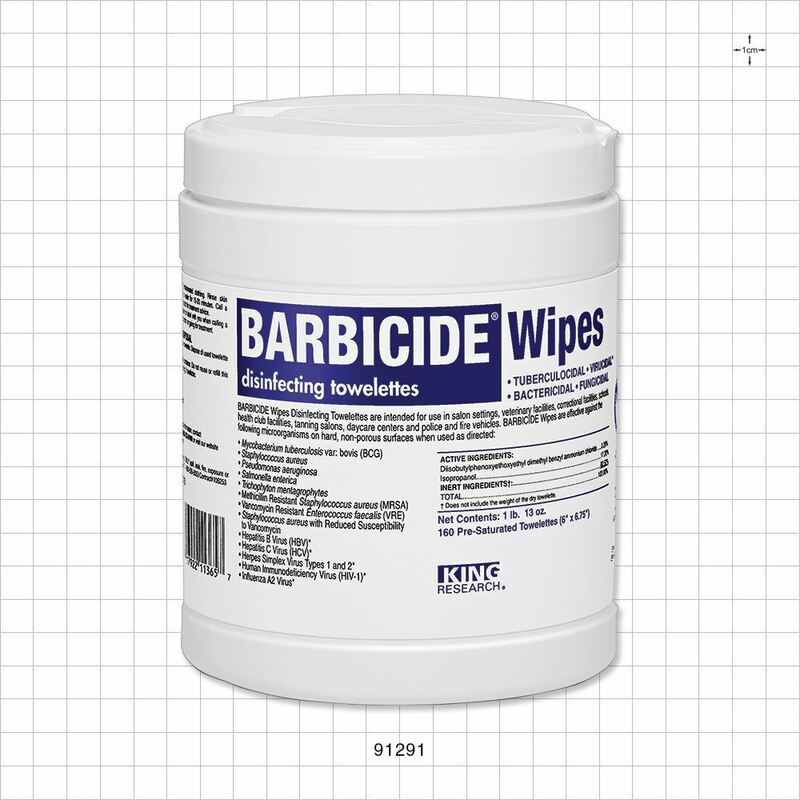 Use with Barbicide jars to disinfect manicure implements and stylist tools. 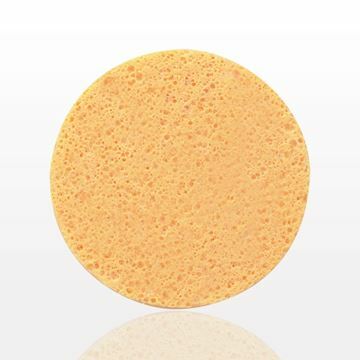 Also great for cleaning non-porous surfaces such as countertops, shampoo bowls and chairs. This hospital-grade, EPA approved broad-spectrum disinfectant is great for cleaning countertops, shampoo bowls, chairs, manicure implements and stylist tools. The set includes six 2 oz. bottles of Barbicide® concentrate and one empty spray bottle. 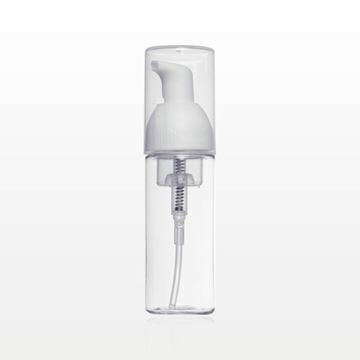 Directions: Add one bottle of concentrate into the spray bottle and fill the rest of the bottle with water.